There are typically a lot of questions that couples have when planning their big day. Here are a few Frequently Asked Questions to help you know the answers without having to look for them. Let us help you make the transportation for your wedding day the easiest part of your planning! Q. How many hours should I book the limousine? A. Rent a limousine for at least an extra hour beyond the expected end time. Have the limousine come 15 to 30 minutes early to allow extra time for the photos. Q. 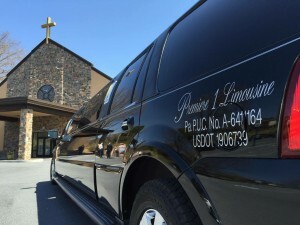 When does the billing for our limousine services start and stop? A. Charges are accrued beginning at the pick-up and ending at the final drop-off (in some cases driving time applies). Q. Do you have a minimum hourly requirement? A. Airport, train station and seaport transfers do not have a minimum. All other service types do require a three (3) hour minimum rental. This is due to the large expense and cost involved in securing and maintaining the vehicles. Q. What is the alcohol policy in the limousine? A. Clients of legal drinking age (21 yrs old in PA) are welcome to bring their own alcoholic beverages. We recommend dropping them off at our location ahead of time; however you can also bring them with you when upon pick-up. All of our stretch limousines and party buses include glassware and ice service. Q. Is smoking permitted in the limousine? A. Smoking is prohibited in all of our vehicles. The Clean Indoor Air Act (CIAA) prohibits smoking in a public place, and the Act’s definition of public place includes taxicabs, limousines and buses. Please note that smoking is prohibited regardless if the vehicle is or is not occupied by a passenger. Motor carriers found to have violated the CIAA may be fined up to $1,000.00. Q. Is the chauffeur tip included? A. Most companies automatically add an automatic 18-20% surcharge that they claim includes the driver’s gratuity. Most times, the driver never sees the portion that is supposed to be the gratuity. At Premiere, the gratuity amount is always at our client’s discretion. A. Typically a chauffeur is tipped between 10 and 20 percent of the total charge. Chauffeurs prefer a cash gratuity; however, it can also be added to a credit card before or after the trip takes place. Take a minute to check out our other wedding content, including our main Weddings page and a post on Shuttling Your Wedding Guests.